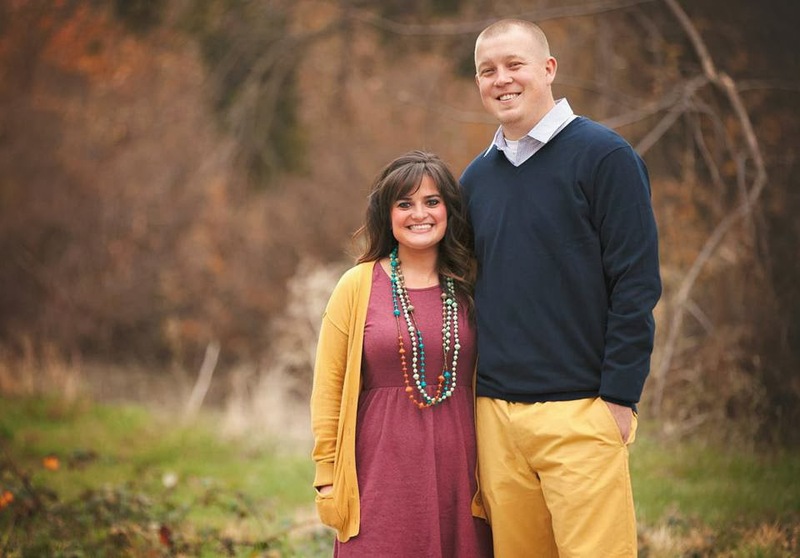 After being married for a couple of years Jarrod and Amanda decided to begin growing their family. After a few months of trying to get pregnant, Amanda started to get anxious and had some tests done to make sure everything was ok. After ten months, more tests and hundreds of dollars, they received devastating news… there was only a 5% chance that they could have biological kids. "Hearing news like that is something that hits you in the stomach and then sinks in slowly. And yet something in me had a feeling we’d get here when this all began." She and Jarrod had talked about wanting to adopt someday, they just thought they would adopt after having bio kids. God has been giving Amanda and Jarrod confirmation about adoption for a long time and it is so cool to hear how their story has unfolded. I have felt an abundance of peace and joy! The Lord is already blessing us by giving us confirmation that he will lead us each step of the way until our baby…Yes,OUR BABY… comes home. God is good… ALL THE TIME." Read more about their story at www.addingtous.com . You can also give a tax deductible donation here. On a cold, wintry morning in Houston, we introduce the Schrocks! I'm so thankful for their honesty and willingness to share a little bit of their story. Sadly, there is a lot of corruption in adoption. It's a very vulnerable process and sometimes dishonesty, greed, desperation creep in and take advantage of the situation. Read about the Schrocks and let's see if we can help them raise some of the money that they lost. I'm so happy that they didn't let this slow them down. They are believing this is all part of the journey God has for their family. Hello. Our names are Marlin & Rosie Schrock. We are from northern WI, where lots of snow flies and it gets COLD!, but we love the Northwoods. We have been married for 4 1/2 years. We are in love with our AWESOME God and each other. Marlin owns a lawncare/snowplowing business and I work at a local "north woods" décor and furniture store, and do the business paperwork. Our lives are busy. 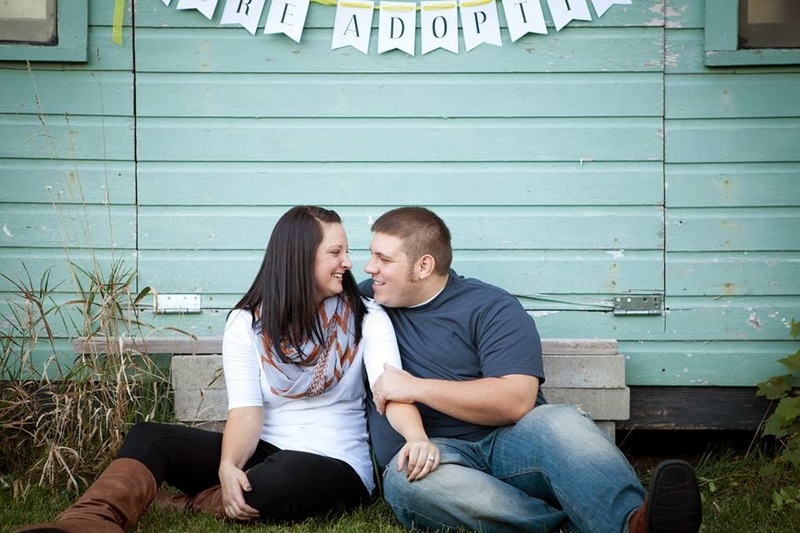 We have talked about adoption since before we were married. We knew having biological children could be an issue, and we knew instead of doctoring lots we would adopt! It is a very good thing we had no idea what our journey would be like. But we have learned lots of lessons and lots about just trusting God and letting things in His hands! Needless to say we were devastated and didn't know what to do next! Thanks so much for helping us on our adoption journey. And please pray for us on this journey. One morning I walked into work. It was a normal day… I was catching up with my boss and friend, Mica and she said, "Hey! My good friend emailed me yesterday. They announced that they are adopting again and want to order a custom book to sell to help raise funds." The crazy thing was, I had just finished the design for the journal that I would be adding to the store. It was all too weird! So, I reached out to Noelle to see if we could collaborate somehow. Here's what we came up with! THIS WEEK ONLY… when you buy a Love is Waiting Journal, 100% of the profits go to fund the Otts' adoptions… Yes I said adoptionS. Plural. They are adopting two more kids and when all their children are home, they will have 5! Forget the mini-van. That's 7-passenger van status. They need all the help they can get! You can also give through their Pure Charity page. Read more about their story below. You can watch our first meeting meeting with Shimelis here. Adopting Shimelis was a wonderful surprise to us! we knew we wanted to adopt 2 children from Ethiopia and it is so exciting that our daughter might be home with us as soon as next summer! When we adopted Shimielis, we were fortunate enough to have been able to pay fully for his adoption and still also have approximately 1/3 towards bringing our other children home, but, adoption is expensive. We're excited to have an opportunity to raise funds through Love is Waiting. We know that God is good and will provide for all of our needs. Exciting to know that so many of you can be a part of bringing our children home. Brad, Noelle, Shimelis, Cash & Maddie-Rose"
It seems that every adoption journey takes an unexpected turn. I love the way Justin and Stephanie have been able to roll with the punches! They are ready for whatever God has for them! Read about their crazy journey and support them by shopping Love is Waiting this week! We said yes to adoption in the summer of 2011. We prayed about what country to pursue and decided on Ethiopia! We fit the country requirements and loved the culture. We were accepted into our agency's Ethiopia program in November of 2011, and we started on paperwork! We were DTE in May of 2012 for a baby boy between 0-12 months. As we began to wait, we felt the need to open our parameters; so we widened our parameters pretty big and began to wait once again. 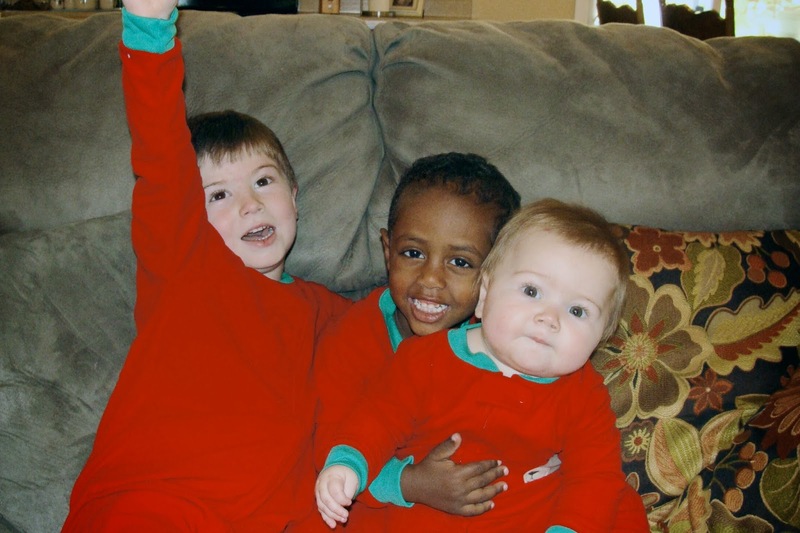 In early January 2013, we saw our sons face for the first time, but he wasn't in Ethiopia! He lives in a tiny country off the West African coast, he's now 3 1/2 and just so precious! We are awaiting our final documents to file our i800 and begin travel approval. You might be wondering, "what happened to Ethiopia?!" Well, we're still adopting from there too! We still sitting nicely on the wait list, and once our little West African is home for at least 6 months, we'll be ready to accept a referral from Ethiopia! So we're adopting two kids, at once, from totally difference countries! It's kinda crazy, and it's been an insane journey so far, but we're ready for what's next! 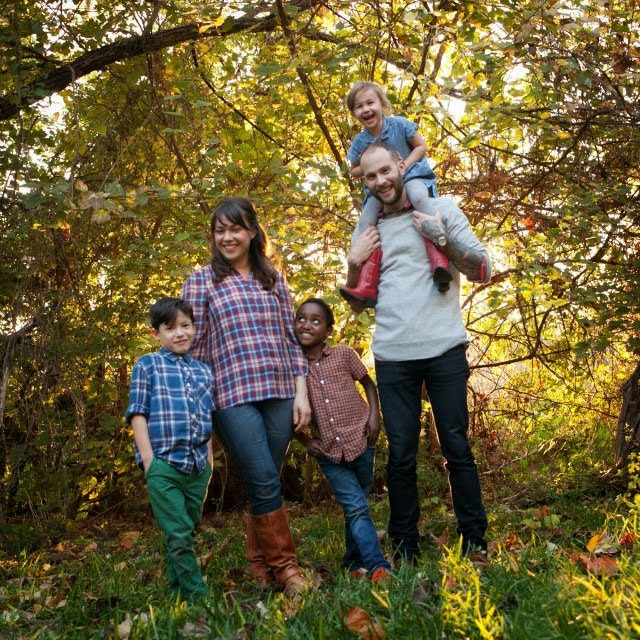 Thank you for playing a part in our adoption story! For me design has always been a living, breathing process. From inspiration to the moment that it's shared. It's a color, a brush stroke that is evoking an emotion or conjuring up a memory… and the coolest part is that any piece that I create will mean something different to EACH person who sees it! These designs in my shop have been largely inspired by MY experience of adoption, but I have been pleasantly surprised from the beginning by the way these words go beyond adoption and speak to all kinds of different experiences. Almost right off the bat we noticed that the "Love is Waiting" shirt made a beautiful maternity shirt! A different kind of waiting, but waiting all the same! 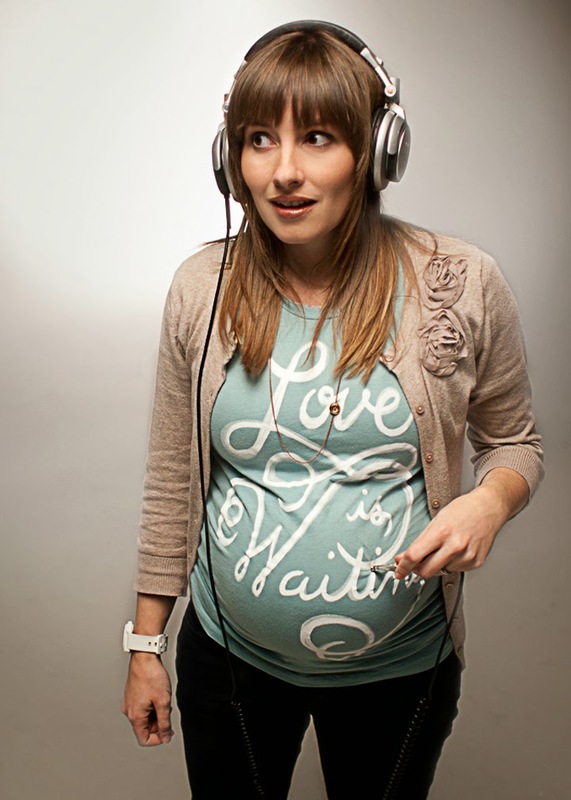 The shirt also spoke to friends who had struggled quietly with infertility for years. Some might even proudly wear the shirt in commitment of "waiting" for marriage. In each situation, the phrase "Love is Waiting" brings hope that one day the wait will over and redemption will flood and fill all the cracks and smudges along the way. 3 To all who mourn in Israel,[a] he will give a crown of beauty for ashes,a joyous blessing instead of mourning, festive praise instead of despair.In their righteousness, they will be like great oaks that the Lord has planted for his own glory. Adoption brings so much joy and paints a beautiful picture of the Gospel, but there is brokenness. There is loss. There is hurt. We are honored to get to walk this path together with the confidence that every time we encounter despair, we can trade it for festive praise! Joyous blessing! 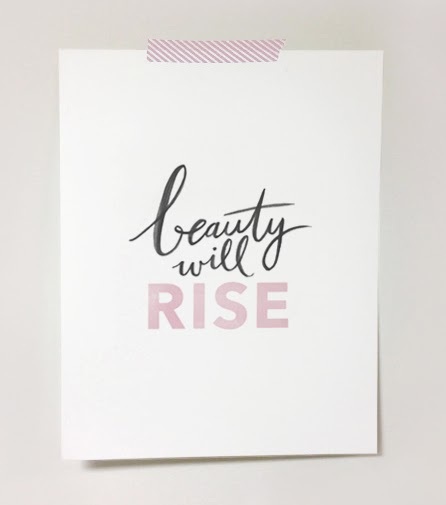 That BEAUTY WILL RISE from ashes! I know that there are so many experiencing loss, hurt, and despair. Maybe it's part of your adoption journey, but maybe it's something else entirely. A miscarriage, an illness, a broken relationship. I hope you are encouraged by this verse and this piece of art. That on the other side of your mourning, something beautiful will be born! Take a minute and read about the Gourleys! I met Niki through Children's Hope International. She adopted Yoseph around the same time we adopted Arthur. Our little boys were in the same transition home and we spent many nights on Facebook Chat keeping each other sane while enduring an excruciating wait to bring our sons home! Now the Gourleys are waiting again to bring a daughter home! "Hello, We are the Gourley family. Adoption has long been in our hearts. We talked about adoption even before our first child, but decided to have our first the “old fashioned way”. Elijah Robert was born to us in 2OO8. A little bundle of energy that hasn’t stopped running since his feet hit the floor. We of course knew one child was not where we wanted to stop. The thought of adoption came into our hearts again, with full force when Elijah was about a year old. We researched all kinds of adoption, attended information sessions, and spent a great deal of time in prayer about it. We finally clearly felt God's calling to adopt from Ethiopia. We learned a lot during that adoption process- about faith, endurance, and blessings. We are proud parents of Yoseph James, who came home to us on December 1st 2O11. We love Yoseph very much. He has a very sweet personality, and loves to have fun. His adjustment and attachment in our family has not been without challenges. We have found help in our challenging times and he is now thriving. Six months after Yoseph was home we discovered that Niki was again pregnant. It was a bit of a surprise, but no surprise to God, who is the perfect creator of families. Lydia Grace is a beautiful, healthy baby girl. A perfect addition to our family. We know our family is not yet complete. We are again adopting from Ethiopia. We believe that this will be the last child added to our family. While traveling to adopt Yoseph we visited several orphanages. We were shocked to discover that many children with special needs are overlooked because no one thinks people will adopt them. We are going into our next adoption wide open to many medical needs. We want to give a family to one of those who may have been overlooked. We are currently on the waiting list and excited to meet our baby girl, hopefully in the new year."